Uri Avnery, a peace activist who became the first prominent Israeli to meet in public with Yasser Arafat, died on Monday aged 94. Avnery, who was an Arab News columnist until 2016 (Click here to read Avnery’s Eurasia Review columns), met the Palestinian leader in 1982 during Israel’s invasion of Lebanon and war with the Palestine Liberation Organization (PLO). He crossed into west Beirut from the Israeli-held east to meet Arafat, sparking controversy back home. It was the first time Arafat had met with an Israeli, and from this perspective, it could be called a “historic meeting,” Avnery wrote in Israel’s Haaretz newspaper in February. Palestinian President Mahmoud Abbas Monday described Avnery was an “icon of real and permanent peace” in the region, the Palestinian WAFA news agency reported. “He was one of the first to have strongly endorsed the establishment of the independent Palestinian state and called for ending the Israeli occupation,” Abbas said. A backbone of Israel’s peace movement, Avnery never lost hope an agreement could be reached with the Palestinians. He pushed since the end of the first Arab-Israeli war, for the creation of a Palestinian state alongside Israel as a means to bring peace. 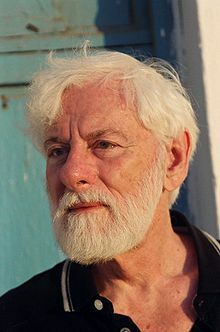 Born in September 1923 in Beckum, Germany as Helmut Ostermann, Avnery emigrated to British-mandate Palestine with his family at the age of 10, fleeing Nazism. Before becoming a prominent peace activist, he was a soldier and even part of a right-wing militia that fought both British and Arab forces. In 1950, he founded an independent weekly magazine, Haolam Hazeh, which he edited for 40 years. He started a political movement in 1965 and was elected to Israel’s parliament where he served eight years. In 1979 he was voted in as part of a different movement and spent two more years in the Knesset before resigning. His meeting with Arafat took place after he travelled to Lebanon at the invitation of the Israeli military as part of a reporting trip. It lasted about two hours and “dealt entirely with the possibility of peace between Israel and the Palestinian people,” he wrote. It was broadcast the same night on Israeli television and Avnery was questioned by police but faced no charges. In 2003, during the Palestinian uprising, Avnery traveled with other Israeli activists to Arafat’s headquarters in the occupied West Bank, to act as a human shield against what they said were Israeli plans to assassinate Arafat after a Palestinian suicide bombing. Avnery wrote that working to prevent such an act was “the most patriotic thing” to do at that time since killing Arafat would have been a disaster for Israel. In Israel, politicians across the political spectrum paid tribute to his work. He maintained “his principles despite attacks and planted in the heart of Israelis ideas of peace and moderation, even when they weren’t in the lexicon,” she said. Avnery had been admitted to Ichilov more than a week ago after suffering from a stroke.